Although there are no formal camping facilities at Round Hill Nature Reserve, we bushed camped near the Whoey Tank (see -32.965813, 146.161023). It’s located on the Whoey Tank Track, accessed via Euabalong-Mt Hope Rd 3 km east of the intersection with Lake Cargelligo-Mt Hope (Murrin Bridge) Rd. (The turn-off is here -32.960475, 146.159056.) The camping area is ~200 m down the Whoey Tank Track. 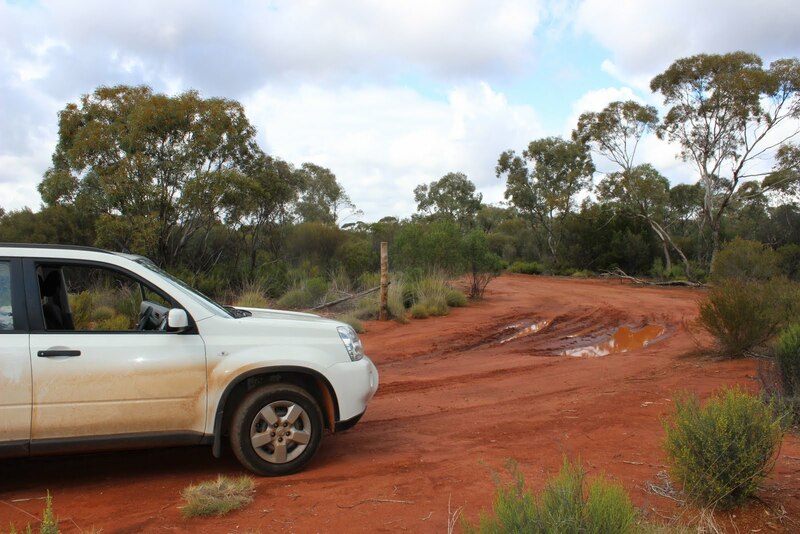 The roads at Round Hill, Nombinnie and Cocoparra are mostly dirt however, under normal (dry) conditions, they’re pretty much accessible via 2WD. After rain you’d need 4WD. It’s also worth noting that the names of some of the roads in the area are confusing. For example, Google maps names the Lake Cargelligo-Mt Hope Rd as ‘Murrin Bridge’, and I have also seen it called ‘Round Hill Rd’. Many of the road names in the area are sometimes hyphenated, sometimes not, frustrating when you’re trying to write trip reports. On our way to Round Hill (from Lake Cargelligo) we stopped at a site known colloquially as ‘Chat Alley’, a roadside shallow surface drain surrounded by Old Man Saltbush (Atriplex nummularia), which grows up to up to 2.5 meters tall. It’s located on Wallanthery Rd, a linkage road to Lake Cargelligo-Mt Hope Rd (here -33.164336, 146.347421). To get there turn north off Lake Cargelligo-Euabalong Rd, 13 km east of Lake Cargelligo. Travel north and then turn west at the T-section. Chat Alley is ~200 m.
For what’s basically a couple of farm paddocks, the birding can be excellent. Here we saw several small parties of Orange Chat, some just north of the road, others on the south. White-winged Fairy-wren were fairly common, and we also saw Brown Songlark, Zebra Finch, Banded Lapwing. Nearby a pair of Black Falcon hunted overhead. Keep an open for parrots, with the area to the right of the T-Junction colloquially known as ‘Parrot Alley’. We saw Blue Bonnet, Cockatiel, and Australian Ringneck. If flooded, Crake Alley can be excellent for crakes. Just up the road from Chat Alley turn right – this is the road to Road Hill Nature Reserve. Not far along this road you come to Booberoi Creek (see -33.138627, 146.292835). This is another good spot for birding – we saw parrots such as Blue Bonnet, Cockatiel and Australian Ringneck. In terms of shrubs, there’s plenty of flowering Eremophila including Long-leafed Emu-bush (Eremophila longifolia), Budda (E. mitchellii) and Turpentine (E. sturtii), perfect for attracking nomadic honeyeaters. While other shrubs included Hopbush (Dodonea viscosa) and Broombush (Melaleuca uncinata). The common grass species is Variable Spear Grass (Stipa variabilis). 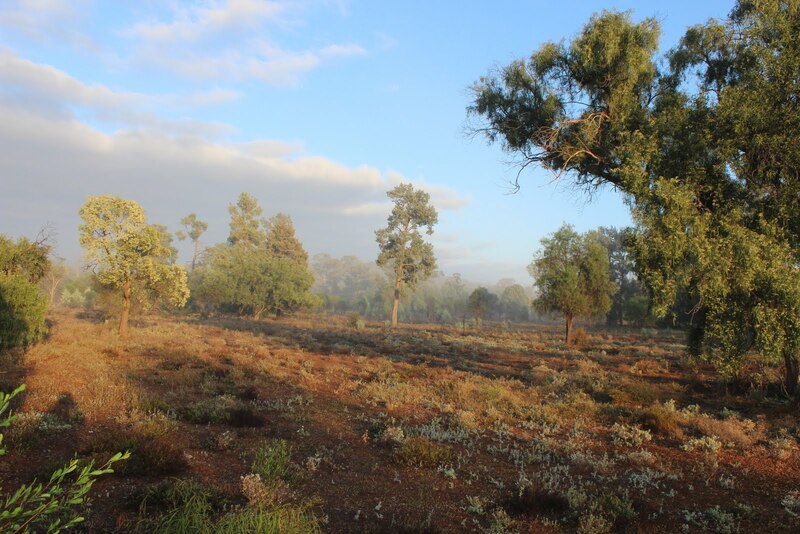 The place was teeming with parrots such as Mallee Ringneck, Mulga Parrot and Blue Bonnet. Small passerines around the Whoey Tank included Speckled Warbler, Chestnut-rumped, Inland and Yellow-rumped Thornbill, Southern Whiteface, and every few minutes or so I’d hear the wonderful cascading call of Western Gerygone. There were also several families of Variegated and Splendid Fairy-wren, with the males of the Splendids looking splendiferous in their full-breeding plumage. A few White-backed Swallow made an appearance. Surely, in terms of grace and style, this must be one of Australia’s most under-estimated bird. Other birds around Whoey Tank included mallee parrots such as Major Mitchell’s Cockatoo, Mallee Ringneck, Mulga Parrot, Blue Bonnet and Cockatiel. 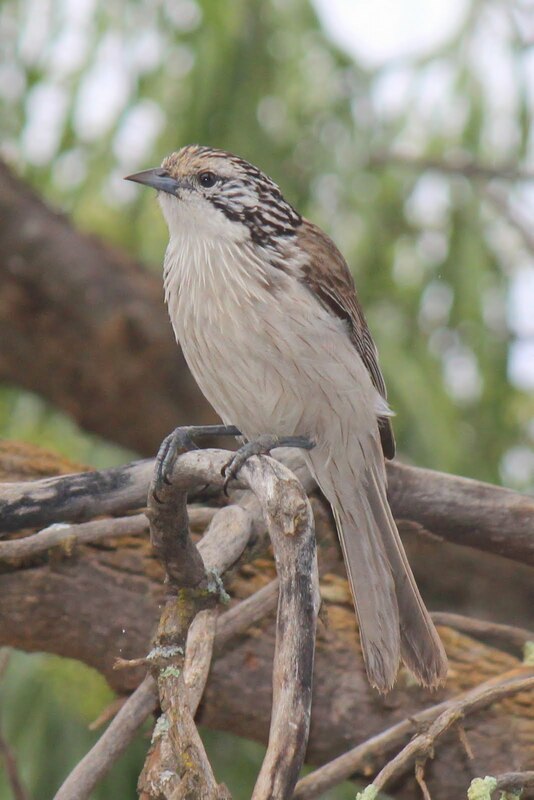 We also saw Emu, Collared Sparrowhawk, Peaceful and Bar-shouldered Dove, Common Bronzewing, Crested Pigeon, Fan-tailed Cuckoo, Horsfield’s Bronze-Cuckoo, Grey and Pied Butcherbird, Grey-crowed and White-browed Babbler, Grey Shrike-thrush and Restless Flycatcher. It’s also worth birdwatching south-west along the Whoey Tank Track (-32.971442, 146.154853). 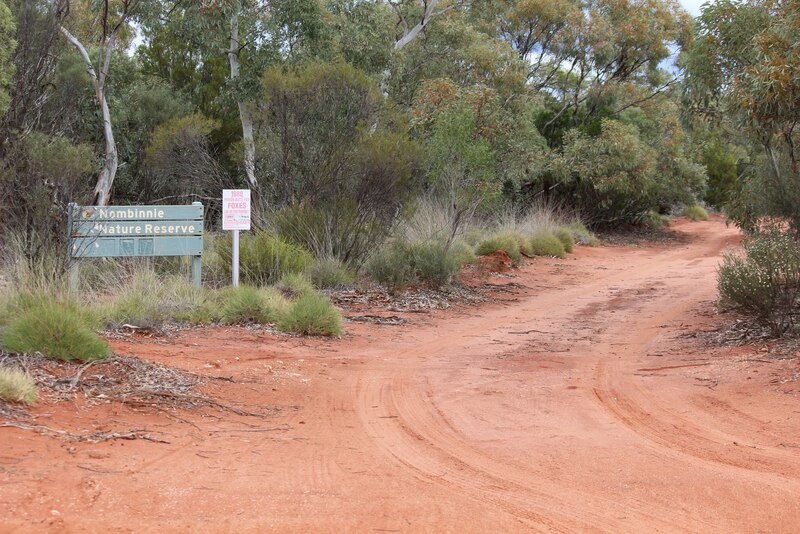 It leads for about 1 km from the camping area, joining up with the Lake Cargelligo-Mt Hope Rd. Red-lored Whistler have been seen in the mallee along this track. The mallee is fantastic, consisting of Red Mallee (Eucalyptus socialis), White Mallee (E. dumosa) and Yorrell (E. gracilis). It’s intermixed with scattered Mallee Pine (Callitris preissii var. verrucosa), Broombush (Melaleuca uncinata) and has a Spinifex (Triodia scariosa) understory. Perfect habitat for Red-lored Whistler! During the course of our visit to this area we got on to three, possibly four, Red-lored Whistler, with good views of two of them. 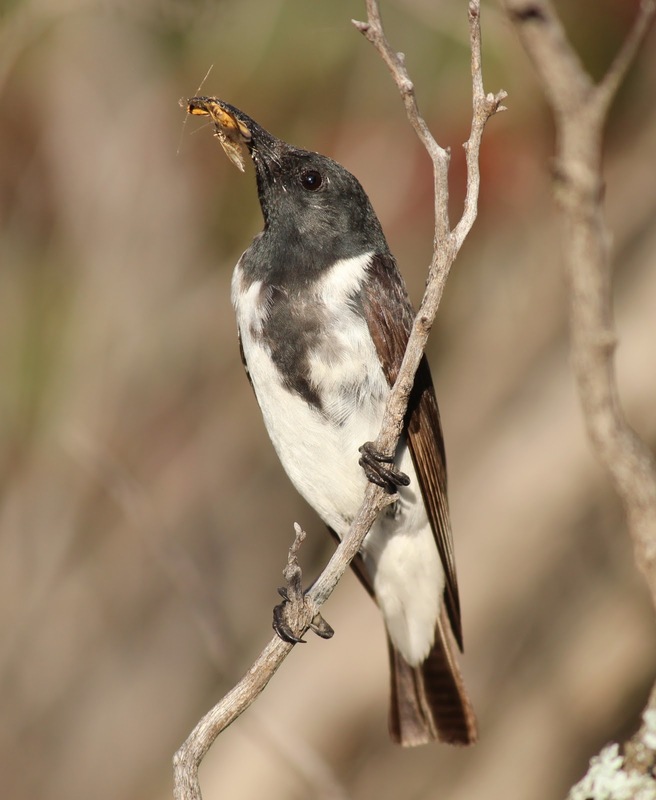 The first bird was seen down a short 100 m walking track. It leads west off Cactus Track at the north-west corner of the wheat paddock (around here -32.961642, 146.109238). While another bird was seen in the actual corner of paddock, and two more were heard south down the Cactus Track. I was pretty happy about seeing Red-lored Whistler here. I’d now seen them in every state that they occur. It’s worth noting that Gilbert’s Whistler are reasonably common here, so be very careful with you ID. 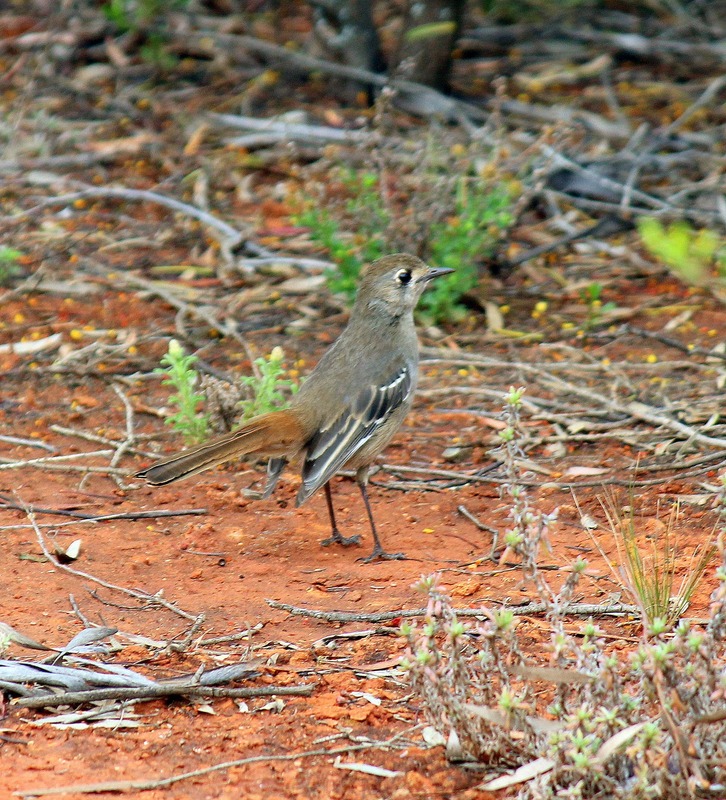 As a general rule, Gilbert’s Whistler prefer the regenerating wheat paddock, while Red-lored Whistler prefer the old growth mallee, particularly areas with a Spinifex understory. Red-lored Whistler have also been recorded along Lake Cargelligo-Mt Hope Rd, with the best spot between 5 to 7 km south of the Euabalong-Mt Hope Rd T-section. It is worth noting that Red-lored Whistler has also been recorded along the Nombinnie Track, located in the western section of the Nombinnie Nature Reserve. 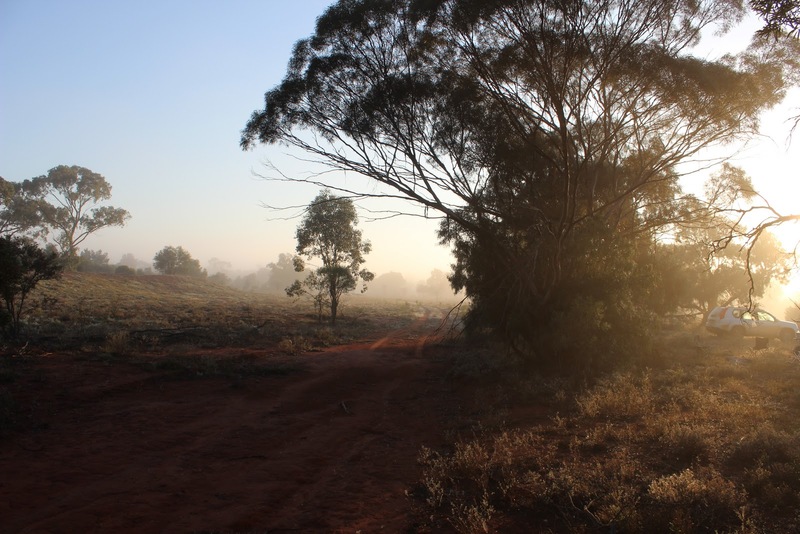 To get there, from the Kidman Hwy, head west along the Marooba Fire Trail, a track that’s 12 km south of Mt Hope. Drive west approximately 11 km until you come to the Nombinnie Track (see -32.940515, 145.809391). 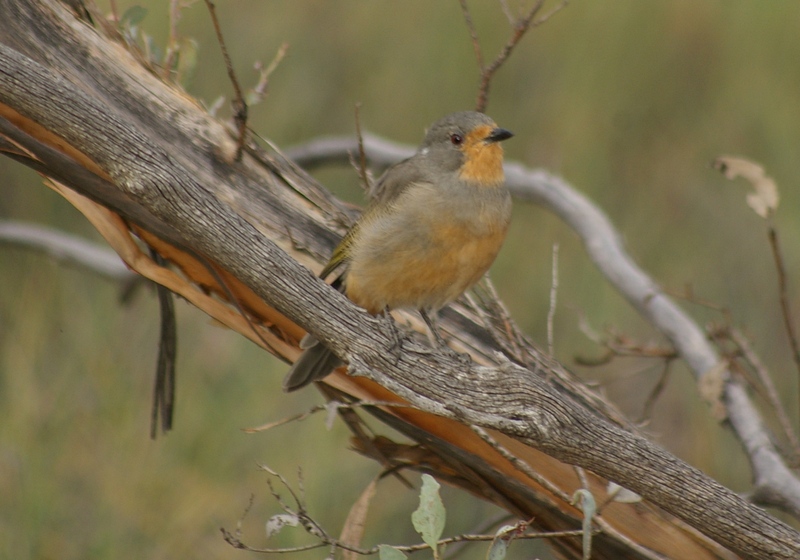 Search for Red-lored Whistler in the mallee around the intersection, and north along the Nombinnie Track for about 3 km. Be aware that these tracks are 4WD. 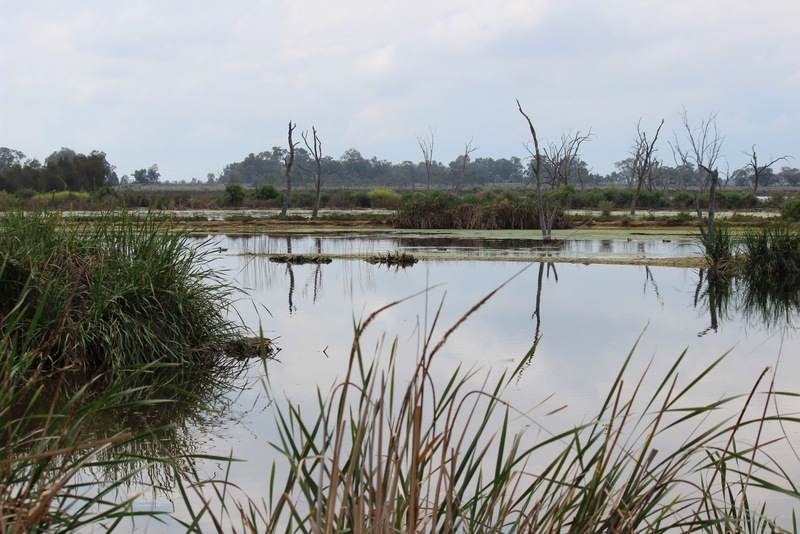 For local waterbirds, we visited the superb Lake Cargelligo Wastewater Treatment Works. Birdwise, this has to be one of Australia’s best treatment plants. To get there from the centre of town, travel south down Condobolin Road, past the showground, and then after 500 m turn south down Showground Road. After a further kilometre you will find an access gate to the south-west side of the ponds (here -33.315306, 146.380400). It is located just before the railway crossing. Along the edges of the reeds nearest the bird hide there were large numbers of the crakes, including Baillon’s, Australian Spotted, and Spotless Crake. While other birds seen included Buff-banded Rail, Glossy Ibis, Black-tailed Native-hen, Whiskered Tern, White-fronted Chat, White-winged Fairy-wren, White-breasted Woodswallow and Little Grassbird. A spectacular place. While in Lake Cargelligo, we stopped at the small ephemeral roadside wetland where Australian Painted Snipe had recently been seen. 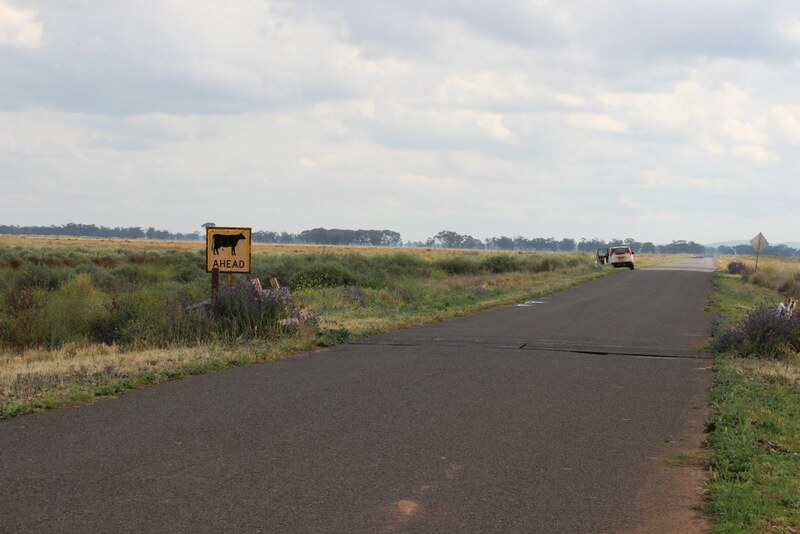 It’s located on Condobolin Road, 1 km east of Lake Cargelligo (here -33.306288, 146.386135). 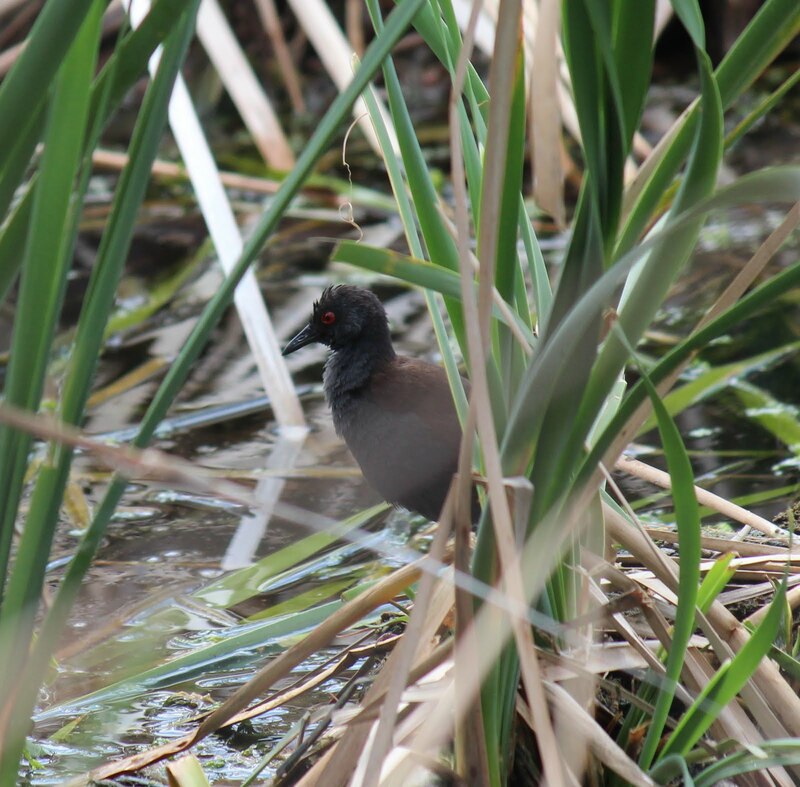 The birds were seen in the second of the small swamps, just past the Showground Rd (the road to the treatment plant). Although we dipped on the snipe, the pond was full of Baillon’s and Australian Spotted Crake, as well as Glossy Ibis, Black-winged Stilt, Black-fronted and Red-kneed Dotterel, Grey Teal, and Purple Swamphen. Our final stop on the return trip home to Melbourne was to see the ‘wild’ Ostrich just north of the Murray River on the Moama-Barham Rd. 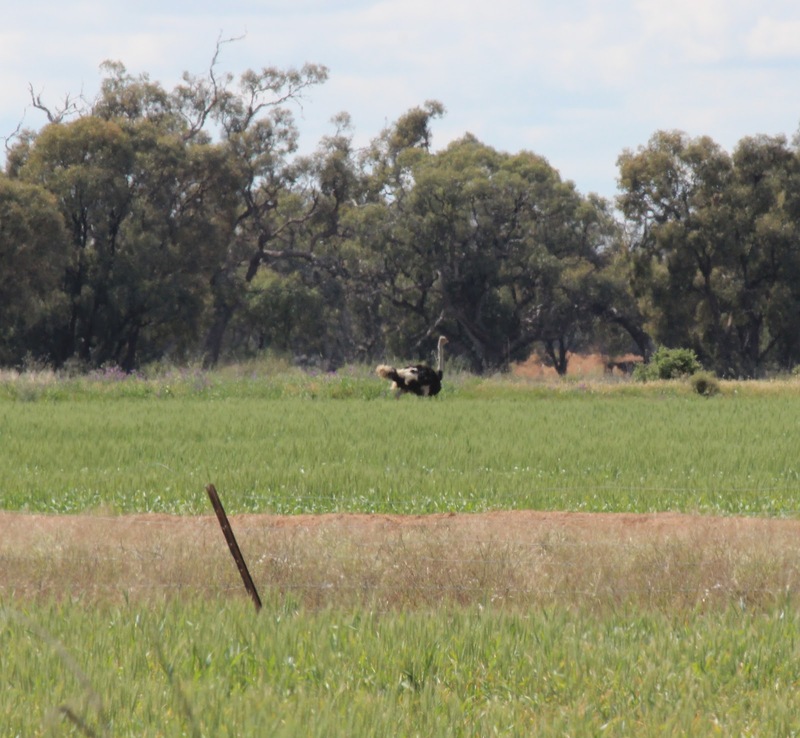 In total we saw six Ostrich, three along Moama-Barham Rd, and another three on the east side of Lashbrooks Rd.